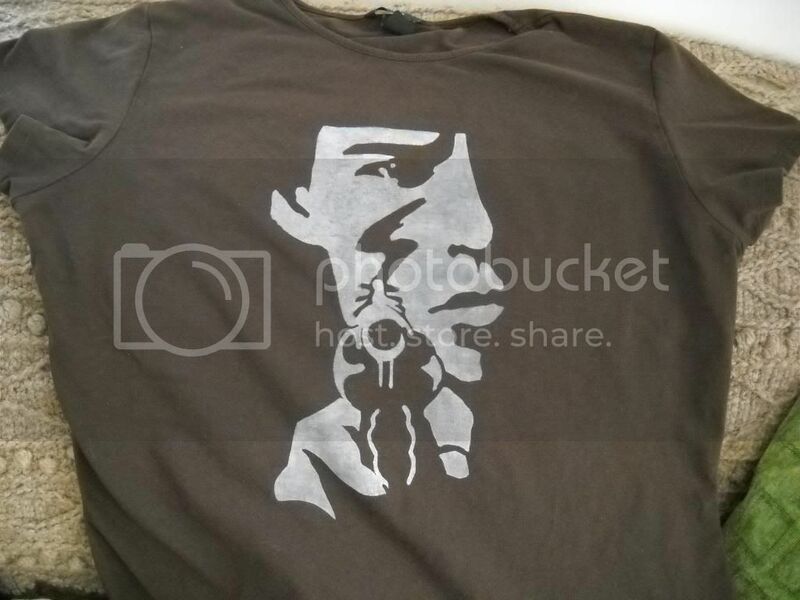 Dead Man (directed by Jim Jarmusch and starring the fascinating Johnny Depp) is one of my favorite movies so I made myself a tshirt using a freezer paper stencil. I'm not sure if I captured Johnny's handsome mug quite right but I'm still happy with the image. Great stencil work! I'm not familiar with the movie, but I might have to check it out now! Oh man! I love this so much!